Eric Folkerth, a friend, clergy colleague and fellow fantasy football owner, blogged about the state of the Dallas Cowboys as a way to honor the beginning of the NFL season. I join him in welcoming the new season and like him, I have been thinking about the state of the team as I am a fan who watches the team whenever I can. In his blog, Eric rightly spoke truth to reputation calling the team losers. Since the last championship following the 1995 season (18 years) the Boys are 2-7 in playoff games. Their regular season record in that time is 138-134. In that same span the Jacksonville Jaguars are 136-136, but they are 5-6 in the playoffs and played in 2 AFC Championship games. In short the Cowboys are a slightly below average team, that performs way below their reputation. While it is true that this team is statistically speaking .500, financially speaking they are “septup-peat” Super Bowl Champions. 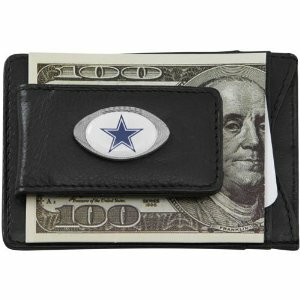 The Dallas Cowboys are the most valuable franchise in the NFL by $500 million and the second most valuable sports team in the world. This dichotomy, that a below average team continues to make more and more money and gain in value, is one of the more amazing hiccups in sports. Clearly Jerry Jones is living off the legacy afforded him by Tom Landry,Tex Schramm, and Jimmy Johnson whose on-field successes built and rebuilt the franchise’s reputation as “America’s Team.” Jerry has been able to add to that luster with shrewd marketing, PR, and business / real estate acumen which has kept the brand winning and before the public even as the team has failed to win. The question for Jerry and fans is how long can this legacy bubble last? How long will fans won over in the 1960’s-70’s or 1990’s remain interested, if not alive, in attending Cowboy games, purchasing Cowboy products, or most importantly watching Cowboy games on TV? As with all things, sports franchises have cycles of success and failure whereupon on-field success results in more money which then brings more success, until personnel mistakes or injuries result in losing seasons and down turns in performance and profit. The Cowboys have proven immune to such normal success cycles. Ironically the off-field financial success of the Cowboys has even enabled below average performance by Jerry Jones as general manager and owner to not do whatever was necessary to win games on the field. When given the choice between winning performance or profit, Jones has chosen the profit as is evidenced through the club’s tendency to draft or sign for sizzle rather than the badly needed steak of less marketable but more valuable players. Does Jerry intentionally choose wealth over winning? probably not. LIke the scorpion who stings, it’s just who he is and making money is just what he does. In his mind it may be the best way to maintain the legacy until another one is established. Unfortuntately, it has not worked and the franchise is in the longest playoff losing streak in its history. As with all bubbles, the ironic, teflon profit bubble that is the Dallas Cowboys will eventually pop. And like all economic bubbles the most obvious sign will be its popping. Until then it more than likely will be “loser, winner, profit dinner. Here’s to a new year of the NFL, next to Aussie Rules Football, the best sport in the world. This entry was posted in Scattershooting and tagged 2013 NFL Season, Dallas Cowboys, Eric Folkerth, football, Jerry Jones, NFL. Bookmark the permalink. 1 Response to Loser, Winner, Dollar Dinner.